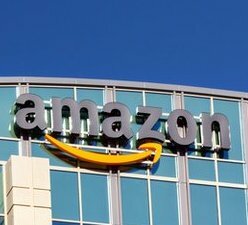 Amazon.com Inc. (Nasdaq: AMZN) stock has had a dismal 2014, down 24.1%. That compares to a 4.7% gain in the Dow and 10.8% for the Nasdaq. Now, AMZN isn't just hurting its own shareholders, it's also weighing heavily on some tech ETFs. One of the tech ETFs that invests most heavily in Amazon.com is the First Trust Dow Jones Internet Index Fund (NYSE Arca: FDN). Nearly 8% of FDN's assets are invested in AMZN stock. In October, FDN is up just 0.1%. The Nasdaq is up almost 3% in the same time. Another tech ETF feeling the pain is the PowerShares Nasdaq Internet Portfolio (Nasdaq: PNQI). Amazon comprises 7.3% of PNQI's holdings. PNQI is down 0.6% in October. When you look at the other major holdings of these Internet ETFs, they've all rebounded along with the market. Since the market's recent upswing that started on Oct. 16, Facebook Inc. (Nasdaq: FB) is up 2.2%, while Google Inc. (Nasdaq: GOOG, GOOGL) has climbed 4.7%. AMZN is the standout laggard. Those tech ETFs may soon turn away from Amazon stock. But don't wait around – you can dump them for some better choices now. As AMZN continues to lag, one of its biggest competitors is outperforming the markets – Alibaba Group Holding Ltd. (NYSE: BABA). At today's opening price of $100.10, BABA stock has climbed 47.2% from the offer price of $68 it set Sept. 18. BABA is up 15.5% since Oct. 16.